Visiting Lake Tahoe? While you are out conquering a ski slope or just hanging out at the beach don’t overlook the opportunity to experience some of the best Lake Tahoe restaurants with a view! Make your trip to Lake Tahoe memorable and make reservations today. From fine 5 star dining to family friendly joints we’ve created a list of some of the best Lake Tahoe lakeview and lakefront restaurants. 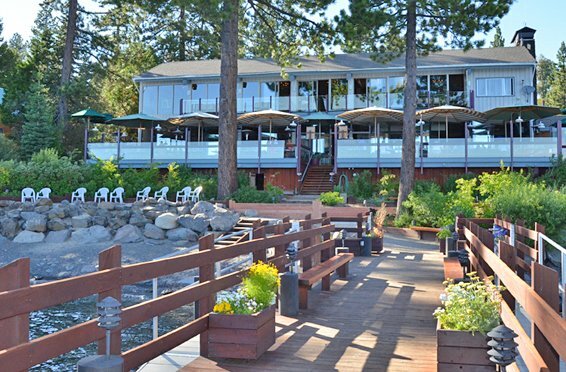 Since 1988 Gar Woods Grill & Pier has provided a stunning, waterfront dining experience, decked out with bay windows and expansive deck and balconies to take in the views of Lake Tahoe and the Sierras. This crisp, casual restaurant specifically highlights California cuisine: hand cut steaks and fresh Pacific seafood. Sit and enjoy the Tahoe summer on their waterfront deck or cozy up to the fireplace during ski season with a Warm Woody or Heavenly bottom, two of their classic cocktails. The Hacienda del Lago presents the alluring lakefront with a casual and comfortable atmosphere for your family and friends to enjoy south-of-the-border cuisine. Large picture windows overlook Lake Tahoe and the Marina, while their warm interior supports the expansive bar area, enhancing the warm and fuzzy feeling you desire after a long day on the mountain. Jason’s Beachside Grille offers a sunny lakeside deck, casual mountain decor and cozy fireplace for chilly winter days. For dinner savor American Classics such as Prime Rib, Steaks, Teriyaki Chicken, Seafood and Pasta dishes, Baby Back Ribs and nightly specials. Jason’s famous salad bar brings locals back time and again. A fine culinary experience sits on the outpost of the Hyatt Regency Resort, the Lone Eagle Grille. A welcoming view of the beach leaves one only to consider their options: lunch on the enclosed patio or an intimate meal indoors, with either choice backed up by their recent $1.3 million dollar renovation. 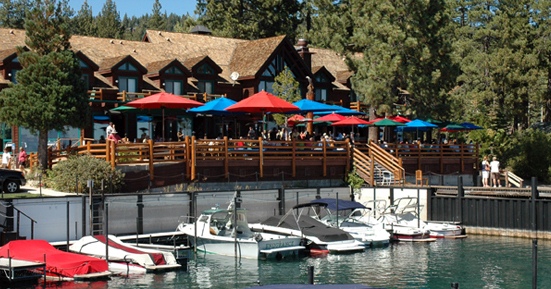 An institution of Lake Tahoe since the 1950s, Sunnyside Restaurant & Lodge is the ideal lakefront place to eat or vacation. 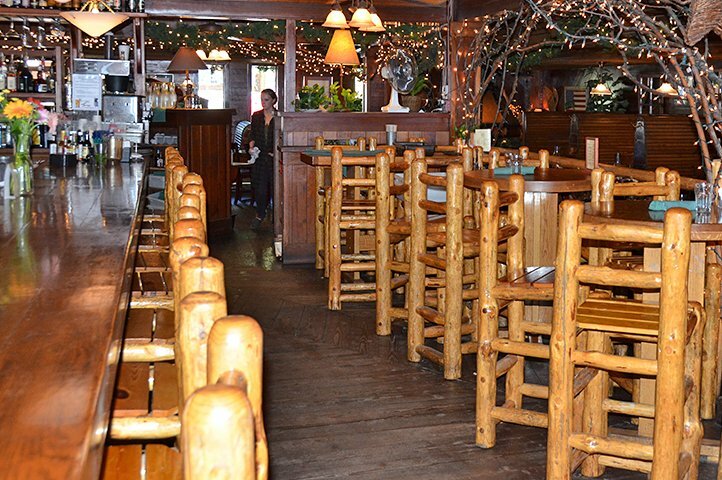 Located at the western base of the shore, Sunnyside’s timeless, lodge-style décor make it the perfect, rustic dining environment for locals and tourists alike. The West Shore Café assembles the best resources California has to offer – fresh, produce, seafood and meats – prepared to enhance the simple flavors we foodies hope for. Their focus on quick, elegant appetizers and entrees makes it the perfect spot for a bite after your adventures around Tahoe. Dinner reservations are highly recommended. A restaurant that has built a reputation for over three decades, Wolfdale’s prides itself on East-West style cuisine. The kitchen radiates of only fresh food that is simply prepared with a variety of American and Asian-inspired dishes. 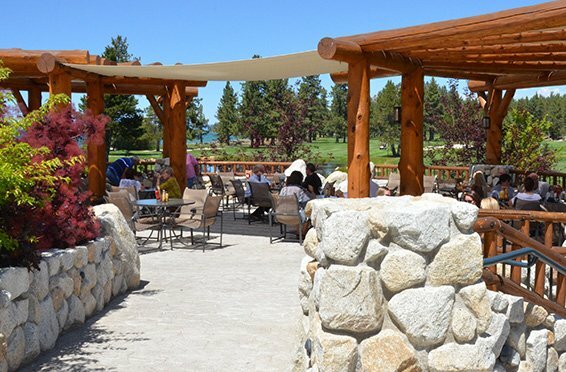 Named one of the “Best 19th Holes in America” by Golf Digest in 2008, Brooks’ Bar & Deck has risen up as Nevada’s premier tavern after a day on the green. Brooks’ Bar has become known for its esteemed food and phenomenal atmosphere to enjoy with friends and family. 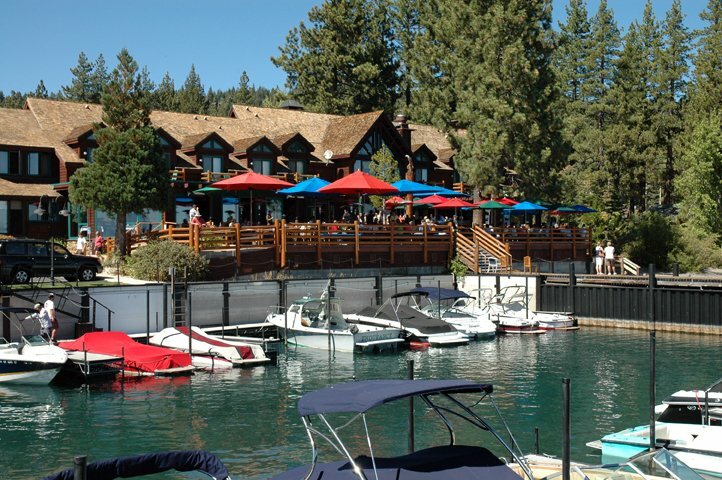 Brooks’ thrives as the go-to watering hole in South Lake Tahoe for both tourists and locals alike. 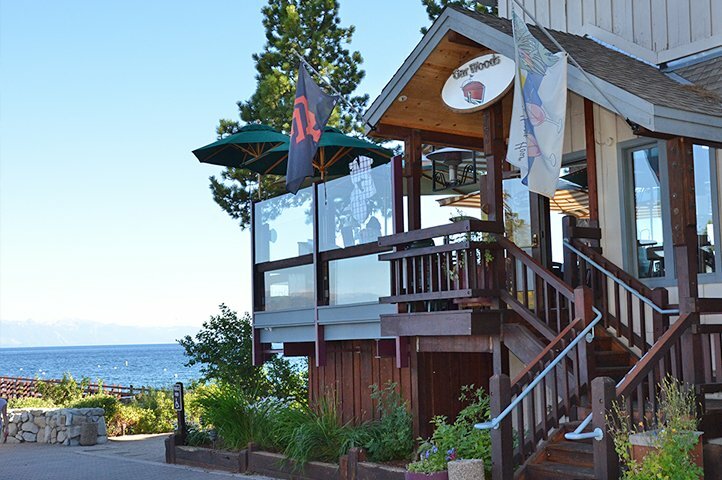 Situated on a ridge near Kingsbury Grade and looking onto exquisite Lake Tahoe, Chart House is a traditional seafood restaurant known for its excellent location and guests can certainly expect outstanding service. Enjoy the vista and a delicious meal like Macadamia Crusted Mahi, Prime Rib or Jumbo Lump Crab Cakes. Happy hour specials provided year round. 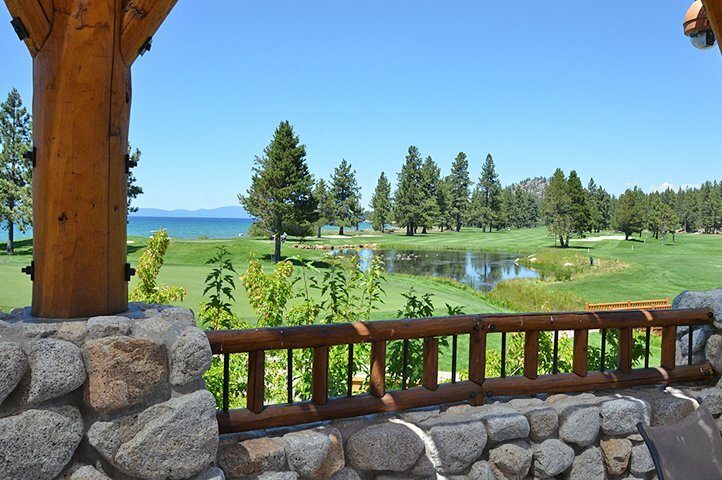 Reminiscent of a manor house from the days of yore, Edgewood Restaurant’s vaulted ceilings, large archways and two-story venue offers a clear, expansive view of Lake Tahoe. The Seared Diver Scallops are said to be some of the best in the region, while the Tian of Marinated Ahi and Cypress Island Salmon with sweet dungeness crab provide a twist on tradition. “Complex but never confusing, complete and fulfilling,” Edgewood Restaurant brings together international flavors that are sure to delight. 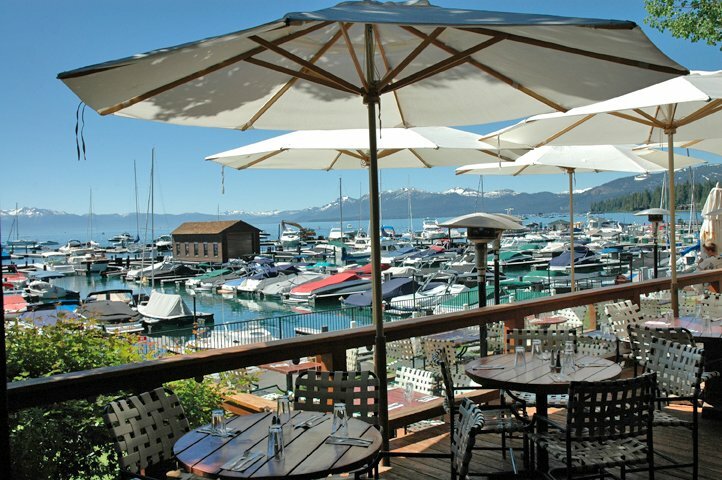 The setting trumps this quality restaurant, which of course, sits on the shorefront of Lake Tahoe. The barrier is all that separates one from the silky sand ahead. Space heaters or sun available – just take your pick. Riva Grill is great for large parties and unforgettable weddings. Their surf and turf style menu matches the scenery perfectly and imagine sitting in a glass-covered barn because that’s the idea. 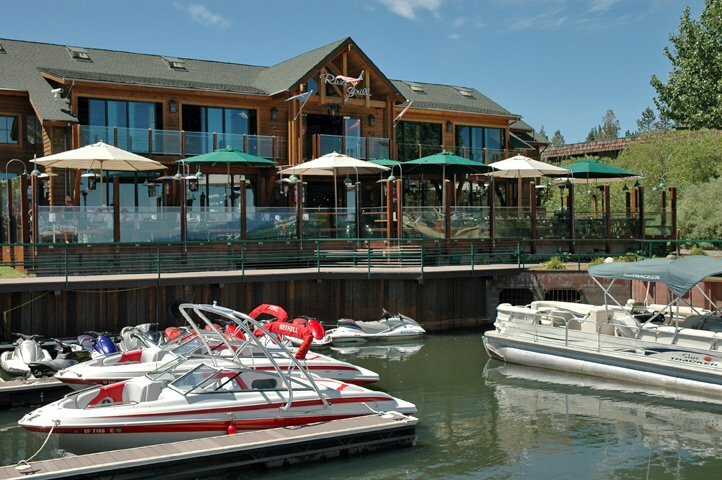 Located, literally on the sandy shores of Lake Tahoe, The Beacon Bar and Grill is fit for friends and families who will enjoy the spacious layout and the Beacon’s upscale bar food. The expansive deck caters to sun-soakers and those looking to snuggle up near a fire pit by the lake. Burgers, Tacos, Fish and Chips and more are available at The Beacon year round with the best selection of beers and their famous Rum Runner. Enjoy the live music every weekend during the summer. Don’t knock casino restaurants until you’ve tried 19 Kitchen & Bar at Harveys Lake Tahoe. Since 2005, The spectacular views of the lake, unimpeded, has been the gem of this fine dining destination. The exhibition of steaks, seafood, sushi & sashimi are served confidently alongside simple snacks. 19 Kitchen & Bar cater to any palate and their cocktails are just as spirited as the view.